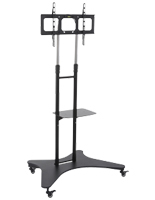 These flat TV stands with 19" shelf are designed to hold 32" - 70" televisions. 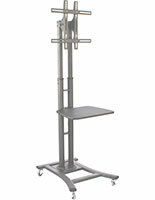 The LED mounts are cafted from durable aluminum for stability. 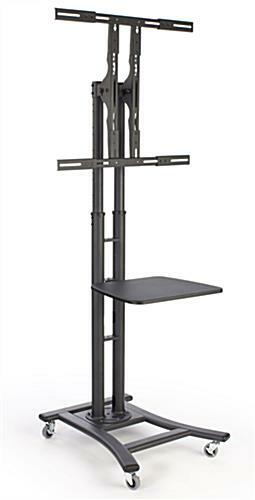 Each black stand comes with one 19" shelf to hold additional equipment like DVD players. 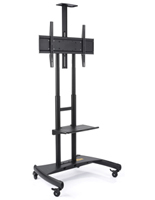 The rolling carts can display TV's in landspace or portrait orientation. 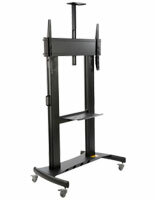 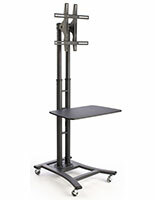 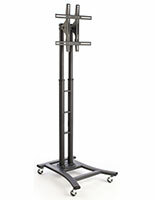 The stands are height adjustable from 44" to 71" and can be locked in place when in use. 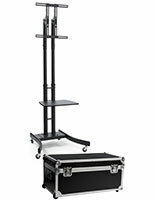 Order the portable display and assemble with ease with the included tools and hardware!